Other forms of this widespread Indo-Pacific seaweed are used in Asian kitchens as salad ingredients and in industry as a source of the thickener carageenan, but Blue Hypnea (Hypnea pannosa) is an iridescent blue ornamental algae and ORA believes it has a future in reef aquariums. According to ORA: “Though similar in appearance to Ochtodes sp. algae from the Caribbean, this species originates from Micronesia and has slightly different morphology. 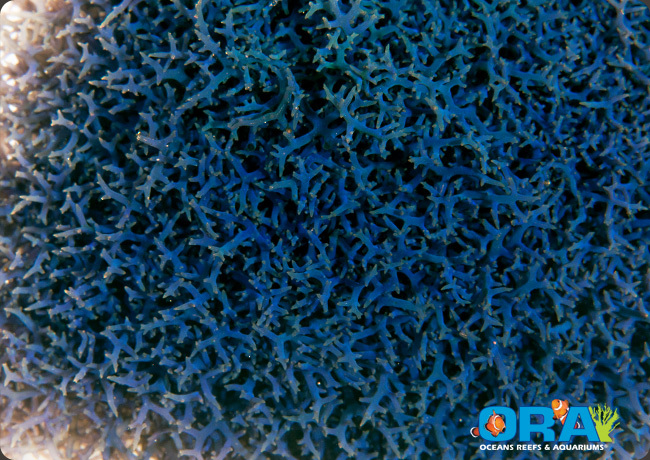 Blue Hypnea grows in very dense, matted clumps that loosely anchor to coarse substrates. It is not a particularly fast growing algae so containing its growth is not difficult.